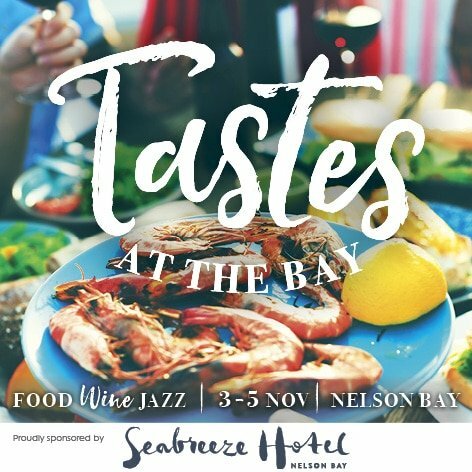 Tastes at the Bay is Port Stephens Food and Wine Weekend offering a festival for the senses. We invites you to savour the flavours with 3 days of Fun, Food, Wine and Jazz. The festival is located in the Nelson Bay CBD and Apex Park with the event running from 3rd -5th November. So why not come and stay for the weekend. Get your feet tapping and your taste buds dancing at this popular, annual bay side bash! The ever popular Jazz Luncheon Cruise on-board Moonshadow-TQC Cruises! Bring the family and join the street food and groove with no entry fee and lots to see and do! Enjoy hot jazz from The Fruit Trees, The Rehab Brass Band and the Howard Ward Jazz Band. Street entertainment and more than you can poke a stick at!